Microsoft Dynamics NAV is a complete enterprise resource planning (ERP) software solution for small and mid-sized organizations that is fast to implement, easy to configure, and simple to use. Right from the start, simplicity has guided—and continues to guide—innovations in product design, development, implementation, and usability. For every deployment of Microsoft Dynamics NAV 2016 you must install the core components, which are the three tiers that make up the Microsoft Dynamics NAV architecture. The RoleTailored client is the client tier, which includes a Microsoft Dynamics NAV Windows client and a Microsoft Dynamics NAV Web client. In addition to the RoleTailored client, Microsoft Dynamics NAV 2016 also supports additional client types, including web service clients and a NAS services client for programmatic access. Microsoft Dynamics NAV Server is the middle or server tier, managing all business logic and communication. SQL Server, augmented by Microsoft Dynamics NAV 2016 database components, is the data tier. 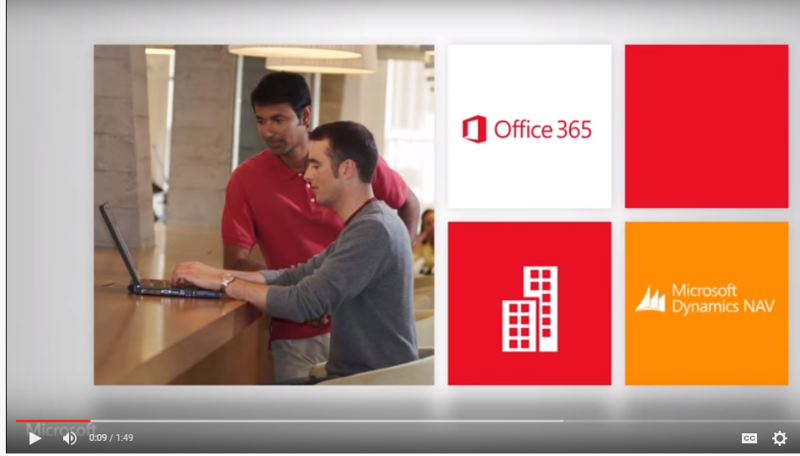 Use Dynamics NAV in the cloud or install it at your office. The choice is yours!